Wondering how Android Apps Development India is shaping up as a new concept? You wouldn’t be surprised to know that Indian market for Android Apps is closely catching up with the European and American markets. The contributing factors are many and to name few, it’s the revolution in the E-commerce and Gaming sectors in India that are really driving the usage of Android Apps. It is also true that majority of the Indian mobile users are with Android phones because of their availability and easy access along with user friendly interface. 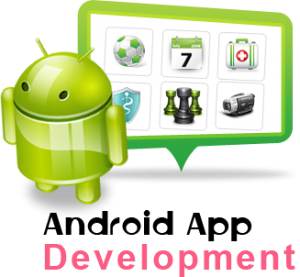 To understand the relevance of Android Apps, it is known to have wide range of application for the Indian scenario. Its demand has been led by travel, apparel and e-retail sectors along with education and governance sectors. Unfortunately, there are not many expert professionals to develop Android applications in India through the trends seem to be improving. In this context, any company that is an exclusive provider for mobile applications can be considered as a highly professional player with thorough know-how on the android applications. If you have decided to implement Android Apps for your business, you need to work with a company that has maximum exposure with Android phones. It is important to know that not all websites need mobile applications unless there is need for database and user interface. For static or certain information based dynamic websites, there are options to create websites with mobile compatibility. Android Apps has specific applications and advantages that can help you in expanding your customer base on mobile platforms. Know more about Android Apps by clicking here.